If you are looking to relocate to a bedroom community of NYC with approximately 30-35 minute commute times to Manhattan, then look no further! Our BackPack Pals volunteers deliver food each Friday to participating schools in our community. I have been a Backpack Pals volunteer and contributor over the past 3 years. It is truly rewarding to know you are giving back to your community. NJ real estate agent Mark Slade has introduced an app with comprehensive information about NJ cities and towns to simplify the home buying process. Maplewood, NJ, September 13, 2014 --(PR.com)-- Mark Slade, a top producing New Jersey real estate agent, has introduced “NJ Open Houses,” an app that puts all the information buyers want and need about a prospective town and its properties at their fingertips. Along with details about available homes, the app provides information on essential services and amenities from schools and hospitals to restaurants, parks and houses of worship. 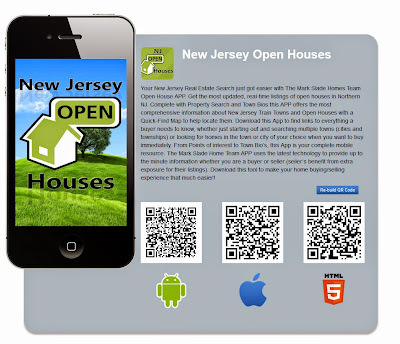 The NJ Open Houses app provides buyers with all the necessary home search tools. Towns currently covered by NJ Open Houses include Maplewood, South Orange, Montclair, Glen Ridge, Millburn, Short Hills, Livingston, Summit, New Providence, Madison, Chatham and West Orange, with expectations that Springfield and Mountainside will be added in the near future. The app is available at the Apple App Store, Google Play Store and HTML Store. In addition to developing this app, Mark Slade has built an arsenal of more than 190 domains and 15 websites, including www.bedroomcommunitiesofnyc.com, www.unioncountyhomesnow.com and www.maplewoodandsouthorangehomes.com, www.searchessexcounty.com all with home search capability and more. 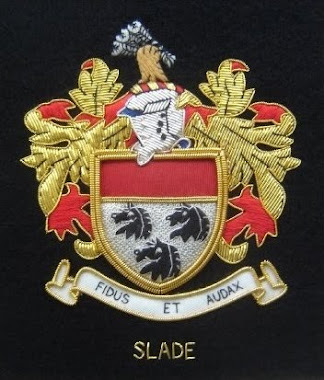 His Facebook Business page: Realtor for the Bedroom Communities has a home search capability, and his social media dominance is reflected in the fact that his blog www.sladeblog.com has more than 125,000 hits and his YouTube channel www.MarkSladeProductions.com has almost 100,000 views as of 8/25/14. The Mark Slade Homes Team covers the bedroom communities of NYC including Montclair, Maplewood, West Orange, South Orange, Glen Ridge, Livingston, Millburn, Short Hills, Summit, Madison, Chatham, Scotch Plains, Cranford, Westfield and Springfield. The team specializes in relocation services, first time home buyers, luxury homes and top notch selling services.